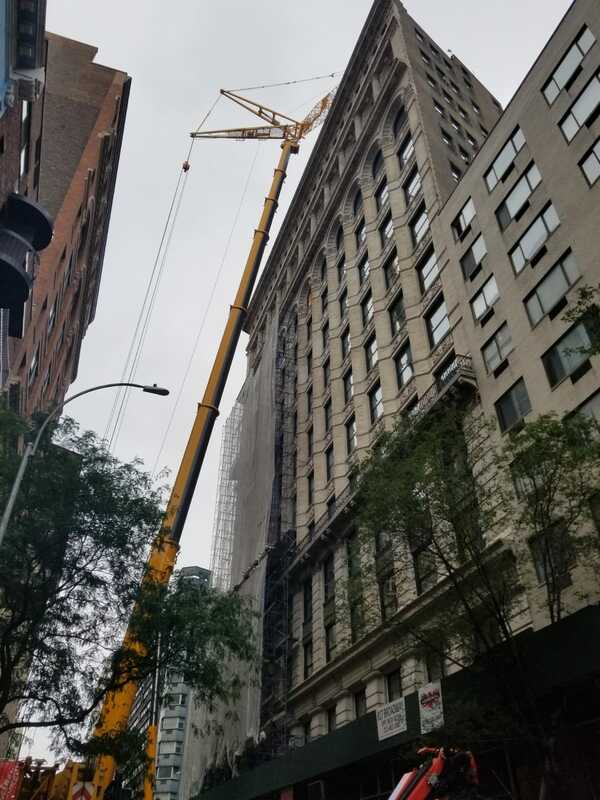 This past Sunday, we completed a rigging project at 817 Broadway. 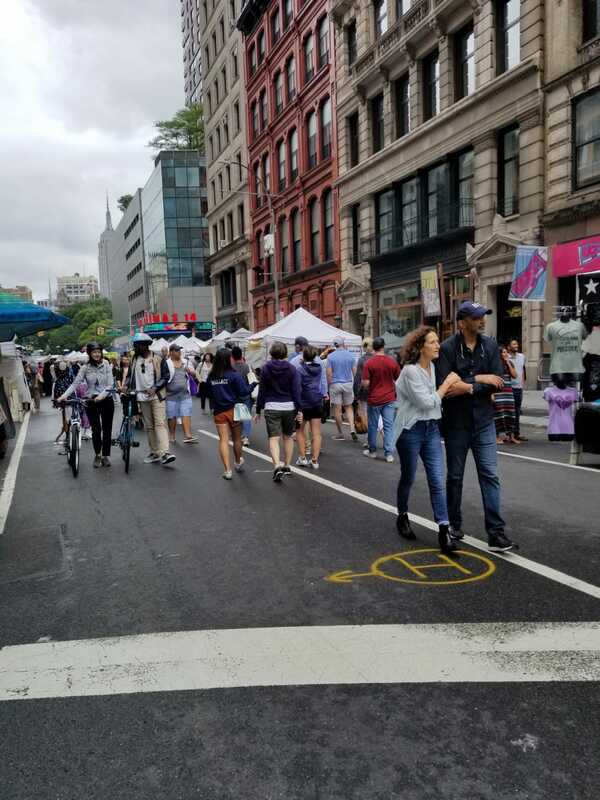 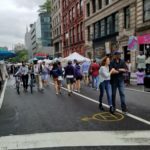 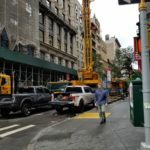 This meant a full road closing on East 12th st between Broadway and University Place. 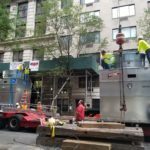 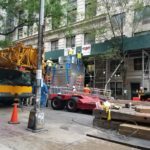 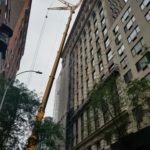 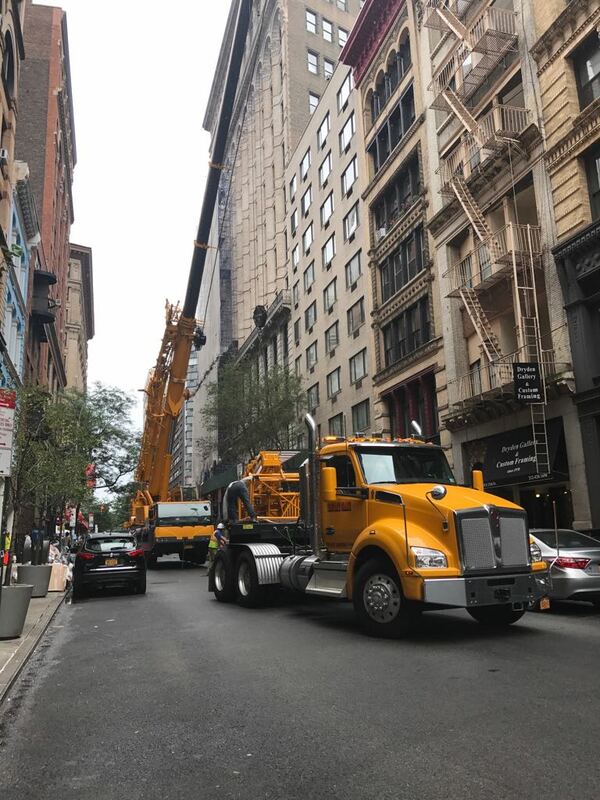 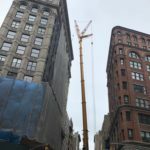 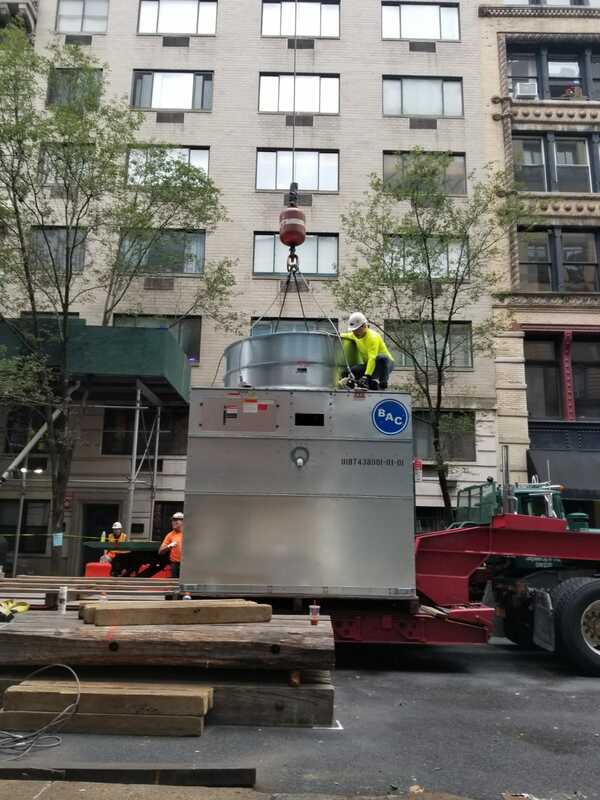 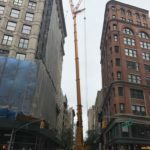 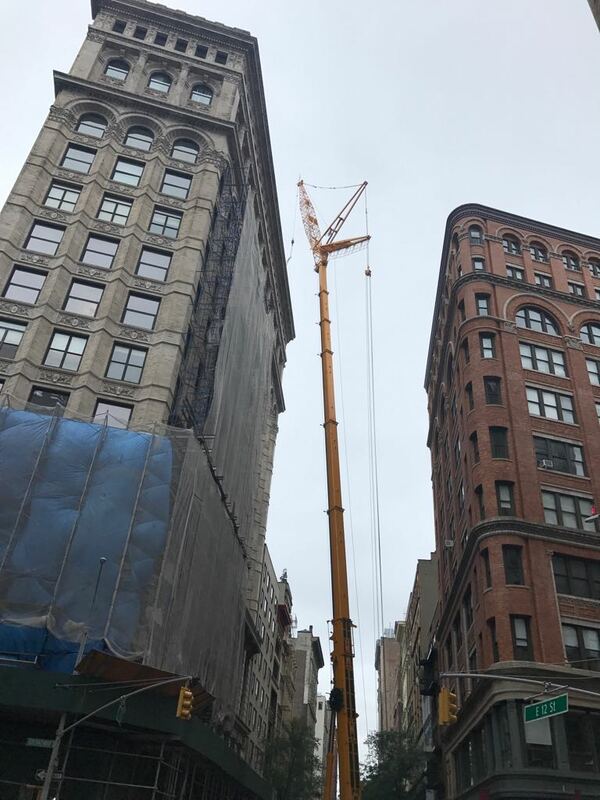 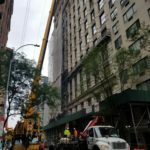 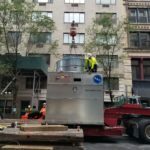 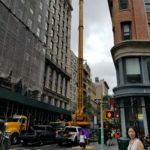 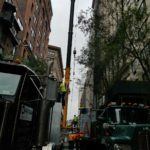 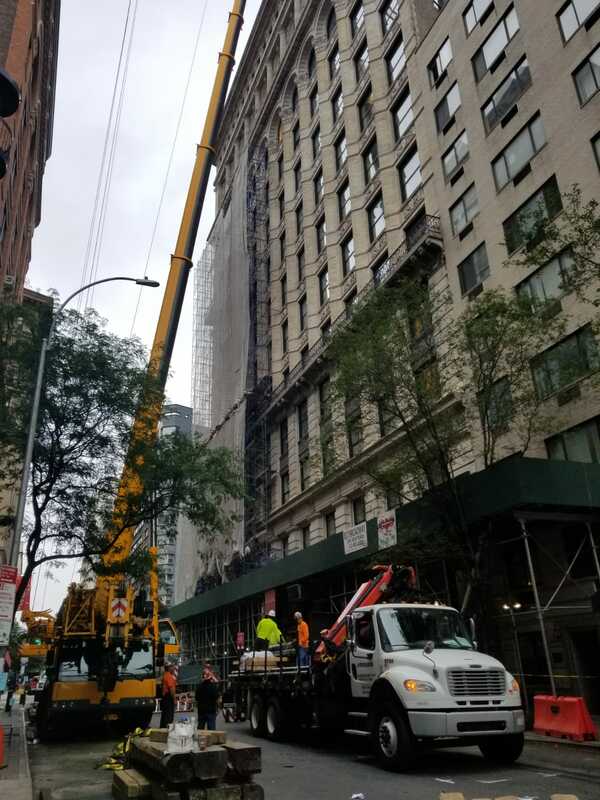 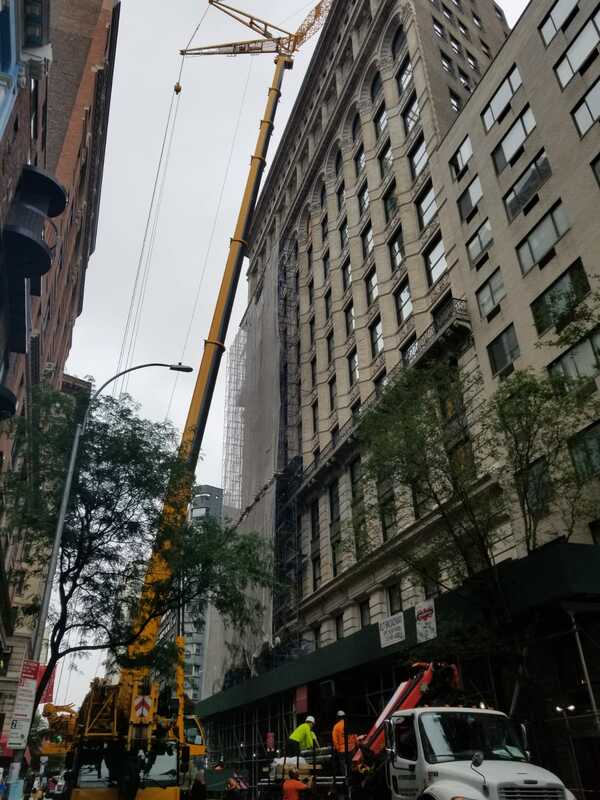 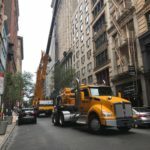 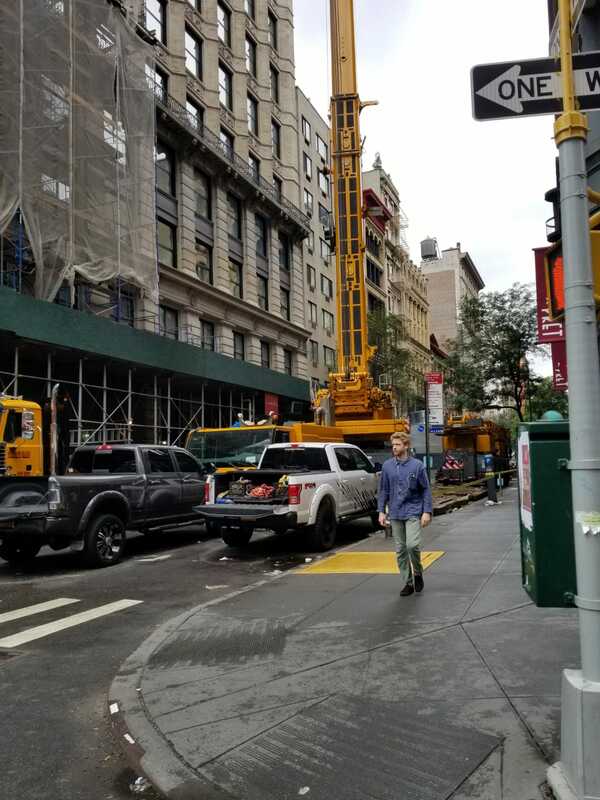 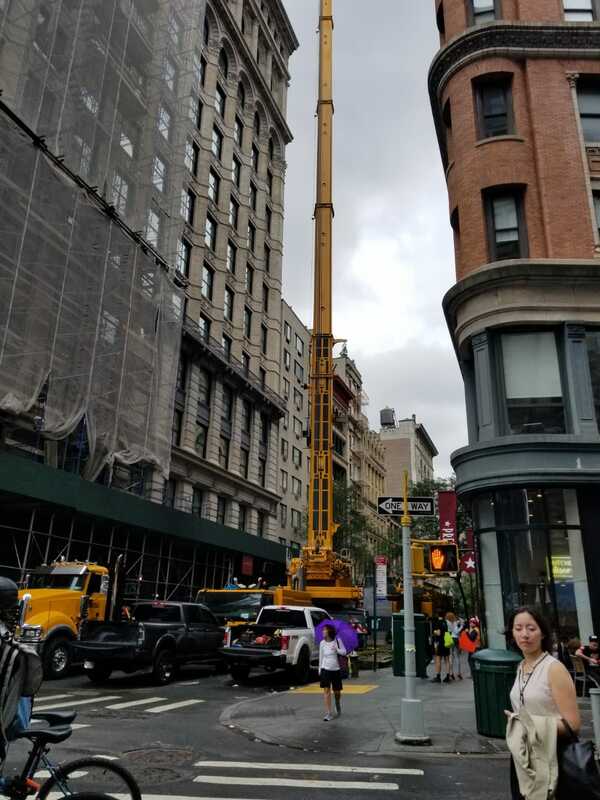 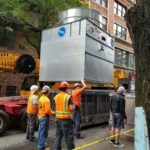 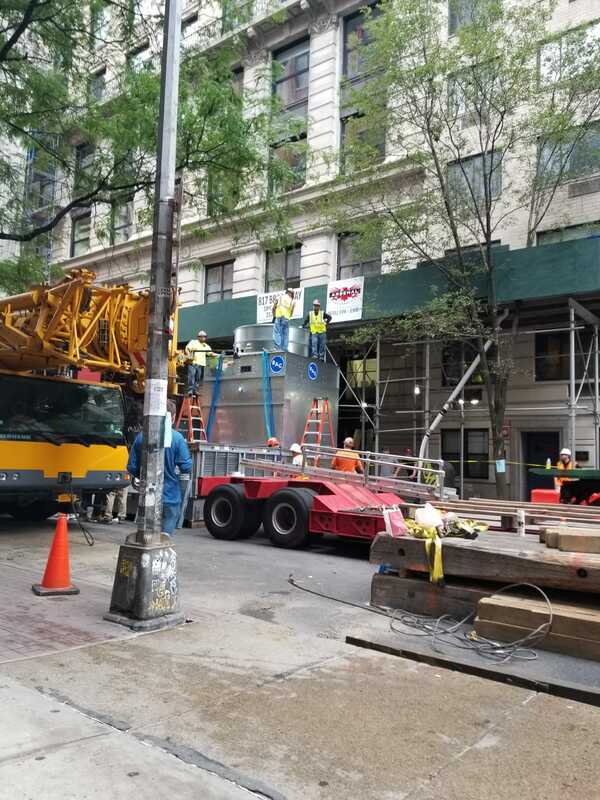 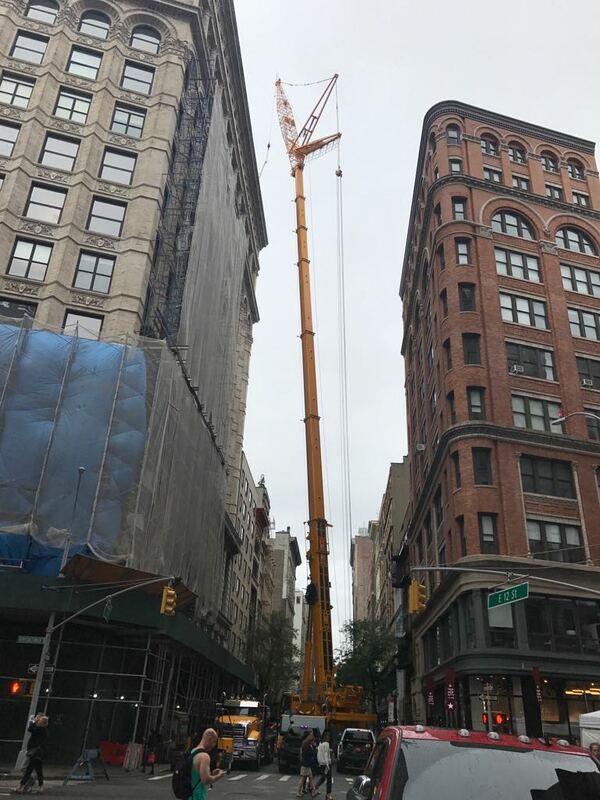 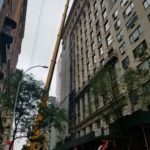 The configuration was over 250 feet, so we had NYC DOB crane inspections and a NYCTA inspector on-site because of the impact to the subway system. 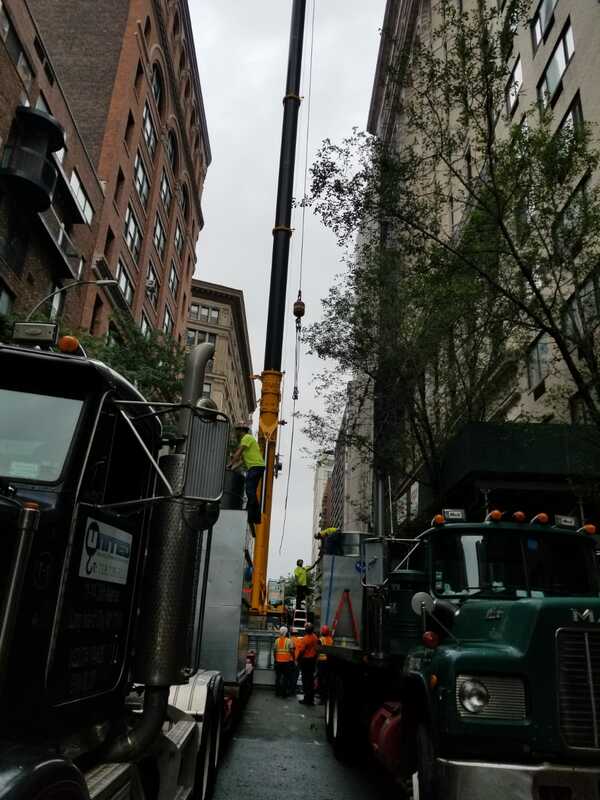 We used an LTM 1300 with assist crane and Luffer jibs to hoist (1) Cooling Tower that was in (2) cells weighing 7500 pounds each. 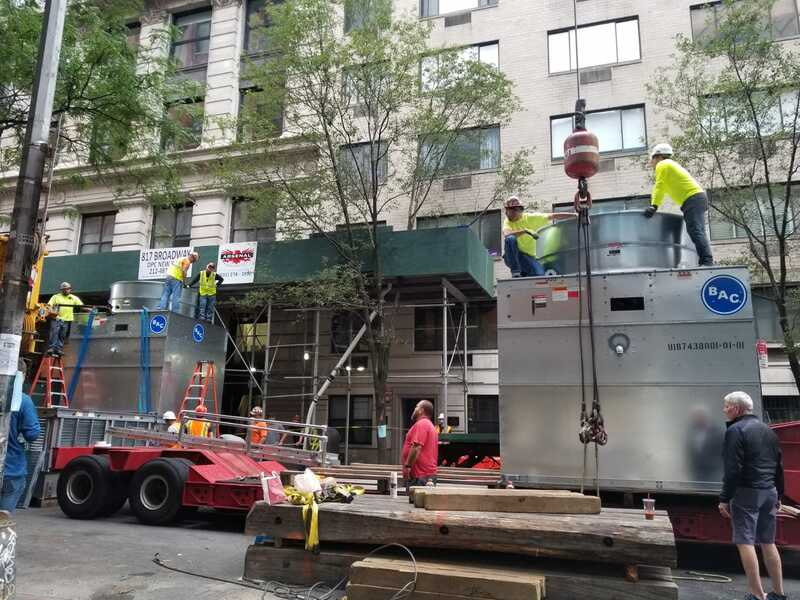 We received unloaded stored reloaded and delivered to the jobsite on our trailers. 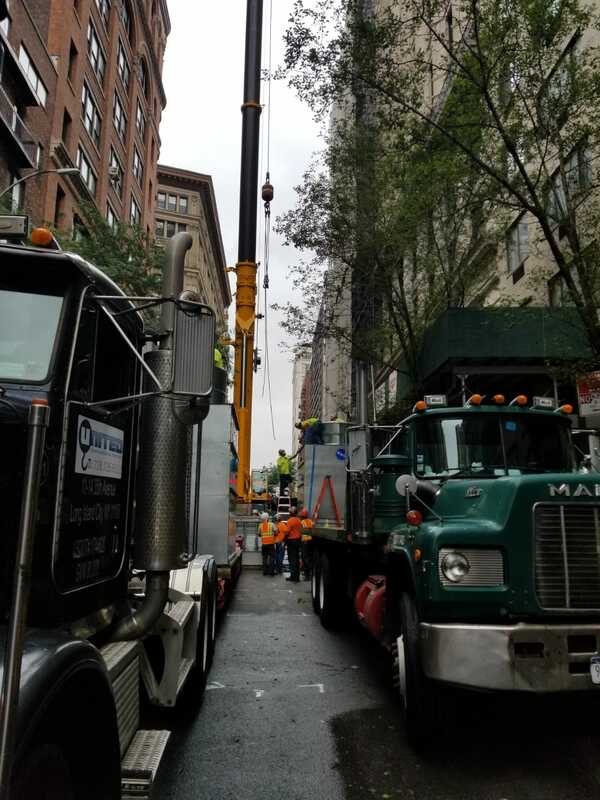 We originally had 12 hours (7am to 7pm) to complete the job. 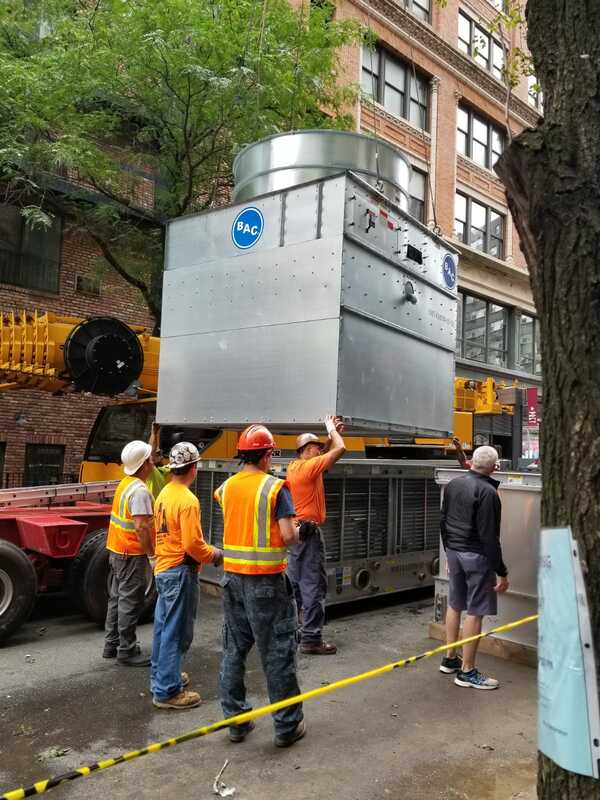 We ended up completing the pick at 3pm and we were off the site by 5pm! 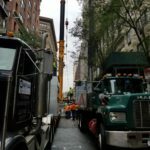 Here is a video and some pictures.